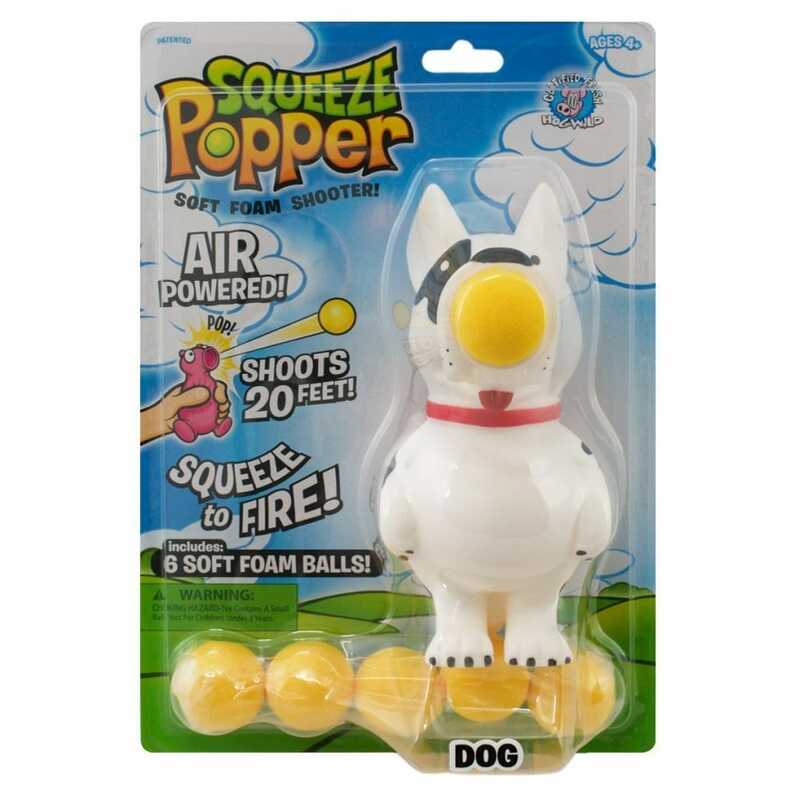 The Dog Squeeze Popper from Cheatwell Games shoots yellow coloured soft foam balls. Pop a ball in its mouth... give it a powerful belly-squeeze... and POP!... the soft foam ball shoots up to 20 feet! Great product for Christmas present for my grandchildren, purchased three different poppers!